Located in Lynchburg, VA and convenient to Richmond Highway, AA Self Storage offers a range of storage unit sizes to meet all your storage needs. Whether you’re interested in RV/boat storage, climate-controlled storage or portable storage, our Lynchburg storage facility have what you’re looking for. 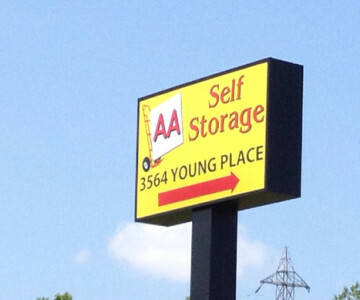 Come visit us or contact the AA Self Storage staff to learn more about our storage options. Click here for directions to our Lynchburg location.